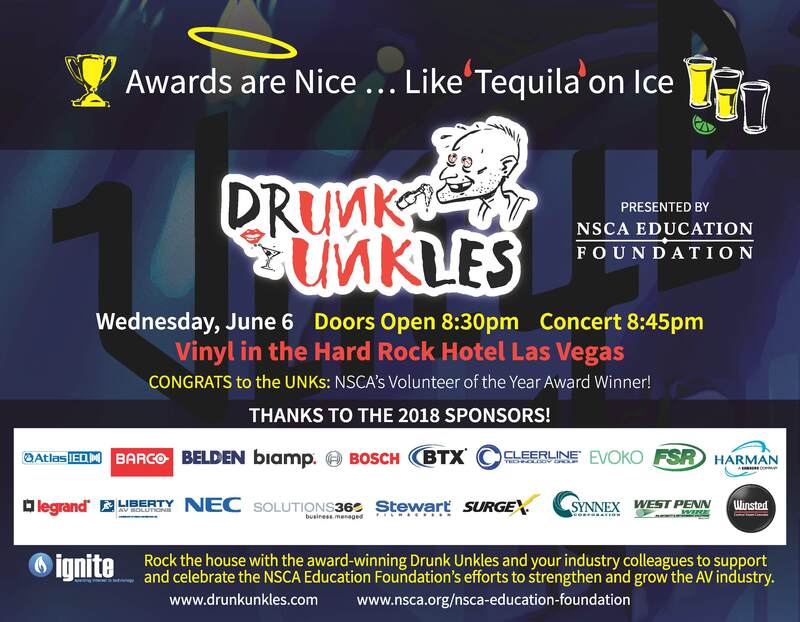 Dubbed “Awards are Nice … Like Tequila on Ice” as a toast to the band’s recent accomplishment, the Drunk Unkles concert kicks off InfoComm this year. Tickets for the event can be picked up at designated sponsor booths during InfoComm 2018, or downloaded here. Sponsors for this year’s event include Atlas Sound, Barco, Belden, Biamp, Bosch Communications Systems, BTX, Cleerline, Evoko, FSR, Harman, Liberty AV, Milestone AV Technologies, NEC Display Solutions, Solutions360, Stewart FilmScreen, SurgeX, Synnex Corporation, West Penn Wire, and Winsted Corporation. The all-star band features Felix Robinson, “Unkle” Steve Emspak and Marc Hochlerin of Shen Milsom & Wilke, Mike Phillips of Hudson Marketing Inc., John Cardone of Cardone Solomon and Associates, and “Aunt” Lisa Wenger, formerly of Bosch Communications Systems and now with the Lisa Wenger Band. 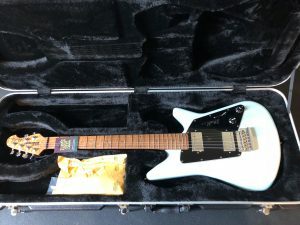 On June 6, a number of special guests will also be welcomed, including Mark Peterson, Billy Larson, and Rob D’Addario.